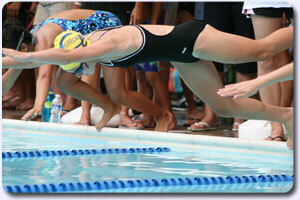 Providing fun and competitive swimming for Upper Montgomery County since 1980! This site is intended to be an information resource for parents, coaches, swimmers and others participating in league activities. Our swim league originated in Gaithersburg and Germantown and provides a competitive summer swim season for teams throughout the upper Montgomery County area. From tots to high schoolers, everyone is welcomed to participate in this exciting and fun sport! Use the menu links to find the information you need. 2018 Invitationals Results are Posted! and Improvement Points Champion Hadley Farms!